TASK™ 16 Product Information | Smooth-On, Inc. Specific Volume 25.64 cu. in./lb. TASK™16 is a low odor, fast-setting Shore 80A/30D urethane that offers very high tear strength, impact resistance and wear resistance. TASK™16 is phthalate free, mercury free and MOCA free. Mixed one part A to two parts B by weight, TASK™16 pours easily. Working time is 6 minutes and handling time is 90 minutes at room temperature. 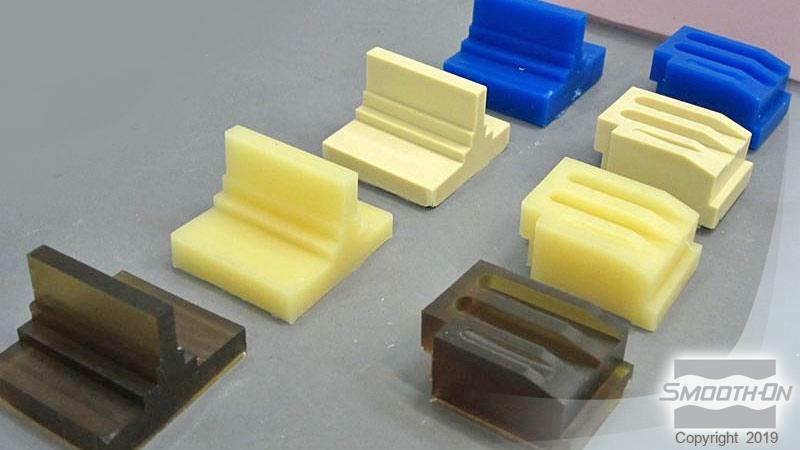 Cured rubber has exceptional performance characteristics and dimensional stability. TASK™16 can be colored with SO‑Strong™ or Ignite™ colorants. TASK™16 is suitable for making fast mechanical parts, gaskets, wheels and pullies, impact resistant props, and archival master models. It is also used to make fast, wear resistant rubber molds for casting concrete or concrete stamping pads. TASK™16 is also an excellent choice for rotocasting to create hollow semi-rigid castings. IMPORTANT: Cured TASK™16 will inhibit the cure of liquid platinum silicone. 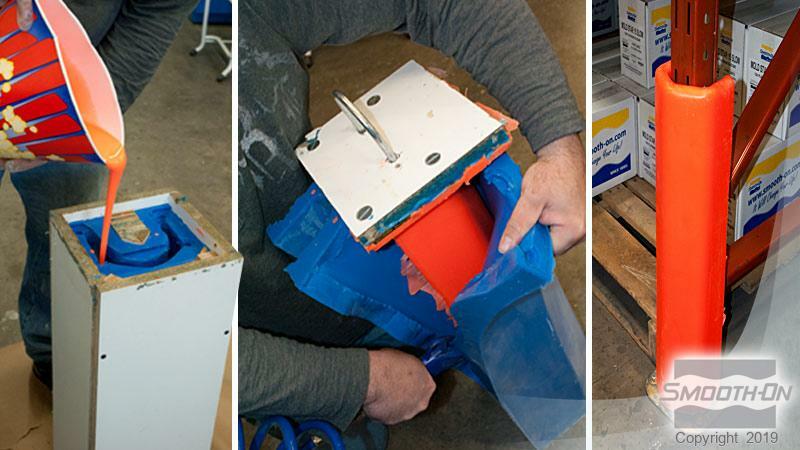 You can not pour platinum silicone into cured TASK™16. 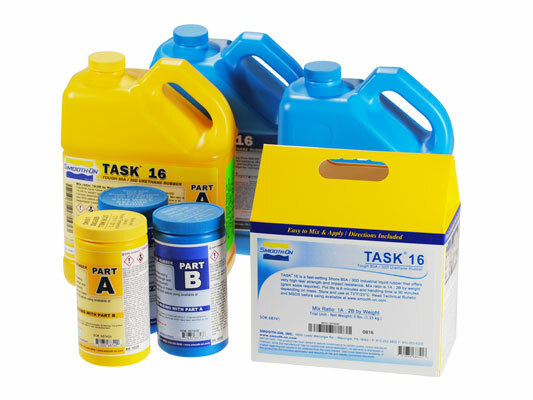 Tin silicone must be used if you intend to pour silicone against cured TASK™16. These products have a limited shelf life and should be used as soon as possible. This material should be stored and used at room temperature (73°F/23°C). This material is moisture sensitive, so relative humidity should be below 50%. Wear safety glasses, long sleeves and rubber gloves to minimize contamination risk. Room size ventilation is necessary. 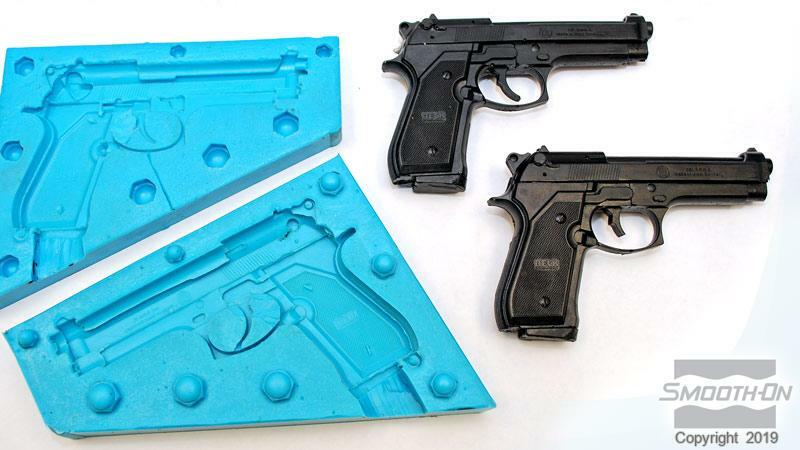 Selecting A Mold Rubber - Pour into a urethane rubber mold (release agent required) or a silicone rubber mold. To prevent cure inhibition, post-cure newly made tin silicone molds for 8 hours at 60°C/150°F and let cool prior to casting resin. If you are unsure about surface compatibility, a trial casting should be made. Shelf life of product is drastically reduced after opening. Immediately replacing the lids on the containers after dispensing product will prolong the shelf life of the unused product. XTEND-IT™ Dry Gas Blanket (available from Smooth-On) will prolong the shelf life of unused liquid urethane products. IMPORTANT: Pre Mix the Part B before using every time. Measuring - An accurate gram scale is required to measure out 1A:2B. Inaccurate measurement can result in material partially curing or not curing at all. Hand Mixing - After weighing and dispensing the required amounts of Parts A and B into mixing container, mix thoroughly for at least 90 seconds making sure that you scrape the sides and bottom of the mixing container several times. Pour entire quantity into a new, clean mixing container and mix again as directed above. Be Aware - material pot life is 6 minutes at 73°F/23°C. Pot life at elevated temperatures will be less. Do not delay between mixing and pouring. Curing - Allow the mold or casting to cure (at least 90 minutes) at room temperature (73°F/23°C) before demolding. 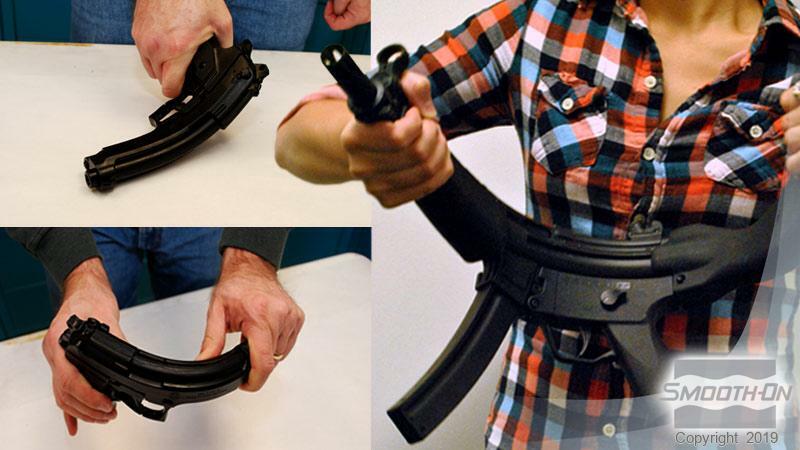 Do not cure rubber in temperatures less than 65°F/18°C. Cure time can be reduced with mild heat or by adding Smooth-On Kick-It™ Cure Accelerator. This material will reach full cure in 24 hours at 73°F/23°C. Post Curing - Although not necessary, post curing will enhance physical and performance properties. After material has cured at room temperature, heat while still in the mold to 150°F (65°C) for 4 to 8 hours. 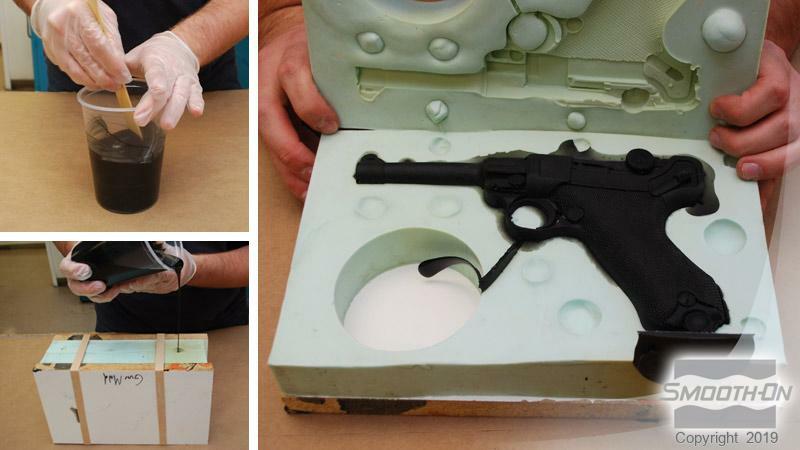 If using this rubber as a mold material, a release agent should be applied to the mold before each casting. 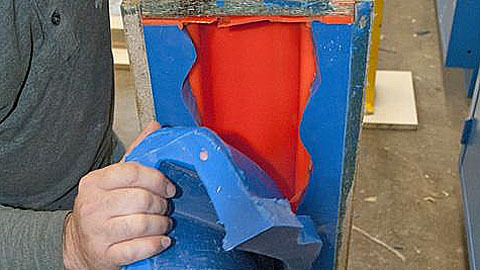 The type of release agent to use depends on the material being cast. Contact Smooth-On or your Smooth-On distributor for more information.